Did negligent security contribute to this senseless Columbus gas station shooting? Police have allegedly made an arrest in the violent Columbus gas station robbery, which left two employees injured Thursday afternoon, December 7, 2017. 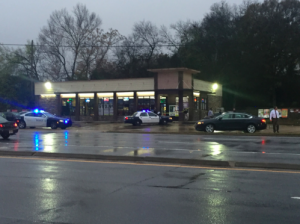 According to The Columbus Ledger-Enquirer, one clerk was shot and a second was beaten during “an armed robbery” at the “BP Food Mart” on Veterans Parkway, shortly before 5:00 p.m. WRBL reports, two suspects entered the gas station and one opened fire during the course of the robbery. Police have apparently since made an arrest in connection with the shooting. Did negligent security contribute to this Columbus gas station shooting? We represent individuals and families in Georgia who have suffered a tragic loss or injury as a consequence of negligent property security, and we have recovered tens of millions of dollars for our Clients. 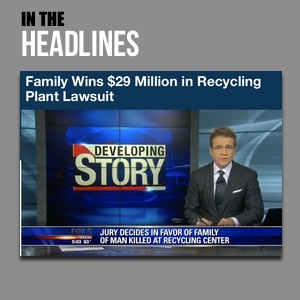 Read Our Legal Take to find out if the victims may have legal avenues for justice and claims for substantial compensation in Georgia, or call now for a free consultation with out legal team: 706.494.2800. Gas station patrons and employees have a right to feel safe and secure while on the premises. The Murray Law Firm questions the level of security provided to those at the property and whether this shooting may have been prevented. Have there been prior incidents of violence on or near property? What security measures, such as surveillance cameras, clear windows, safety glass, bright lighting, and security patrols, were in place to deter crime at the time of the shooting? Have employees been offered safety training to handle violent situations? By law, property owners in Georgia are required to protect all those legally on the premises from any foreseeable harm. As the victims were apparently working at the time of the shooting, they are most likely entitled to substantial workers’ compensation benefits. Unfortunately, employers and insurance companies are often more concerned with their own financial exposure than providing victims with the long term compensation and medical care they deserve. As such, it is imperative the victims retain an experienced workers’ compensation attorney immediately, before any evidence may be repaired, damaged or destroyed. We Fight for Victims of Workplace Violence in Georgia…Contact us Now for a Free Consultation.